The latest side project of the Flaming Lips' Wayne Coyne and Steven Drozd, Electric Würms are set to release their debut EP Musik, Die Shwer Zu Twerk tomorrow (August 19) via Warner Bros. 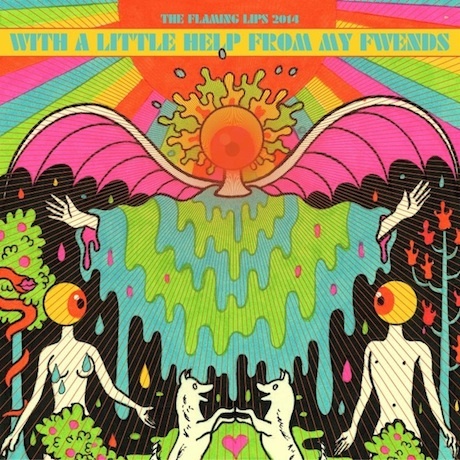 But today, they've unveiled their contribution to the Flaming Lips' upcoming Beatles tribute With a Little Help From My Fwends. A fresh take on Sgt. Pepper's Lonely Hearts Club Band, the forthcoming record is out on October 28 through Warner Bros. and will feature cuts by everyone from Moby and MGMT to Miley Cyrus and My Morning Jacket. Electric Würms make their mark on "Fixing a Hole" and take it in an unsurprisingly psychedelic direction. You can listen to the mellowed-out Macca tune below.